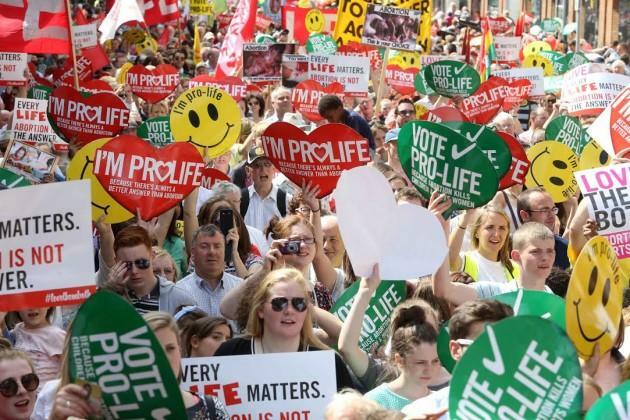 Thousands have today turned out for a ‘pro-life’ rally in the centre of Dublin. The ‘Rally for Life’ started at around 2.30pm this afternoon and saw demonstrators beginning at O’Connell Street before making their way over to Leinster House. The event was organised by Youth Defence, Precious Youth and, the Life Institute. 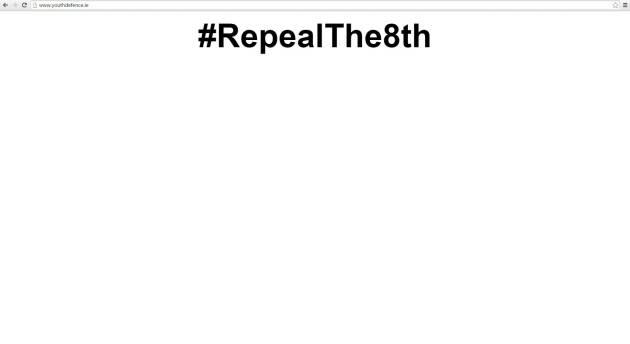 This afternoon the website of Youth Defence has been hacked to display the message ‘#RepealThe8th’ to visitors. The event today was met with a counter protest held by pro-choice campaigners on Dublin’s O’Connell Street. 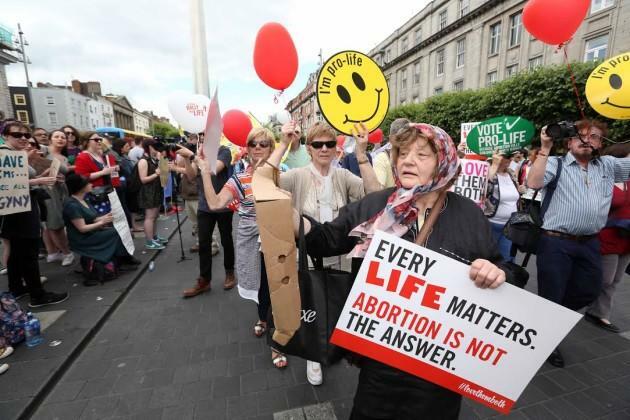 Niamh Uí Bhriain, spokesperson for the Life Institute, one of the pro-life groups organising the rally, earlier told TheJournal.ie people from all across the country will be in attendance as buses had been arranged specifically to transport them to Dublin for the march. The focus for this year’s rally, she said, is protecting the right to life of unborn children who have a disability. A number of parents who have children with disabilities addressed the crowds. 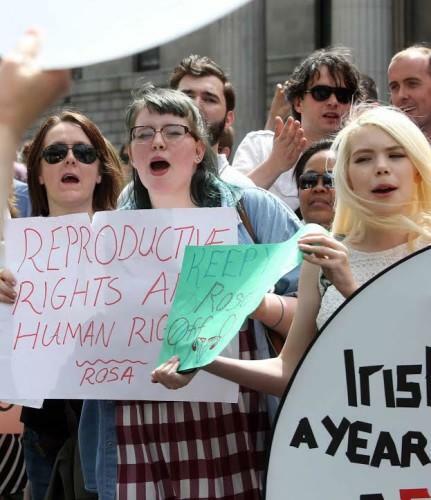 Uí Bhriain said the pro-life community were “very upset” by comments made recently by Amnesty International and the United Nations, which said Ireland must take action to decriminalise abortion. This is likely to encourage more people to join this year’s demonstration, she said, as people very much feel their values are under attack. As they marched up O’Connell Street the pro-choice rally was met with the opposing ‘Rally for Choice’ that had been organised by pro-choice activists. We are standing in solidarity with the woman in Northern Ireland who was arrested for providing her daughter with abortion pills. Women are not criminals just because they choose to have an abortion. We are standing in solidarity with the 12 women who travel everyday to England for an abortion. And we are standing in solidarity with all those who have made a choice as to what to do with their own bodies.